An evergreen song is recreated, and lands in instant controversy. The music video of Ghar Se Nikalte Hi starts with Armaan Malik sipping coffee on his balcony and asking Alexa for any reminders he would have for the day. He then spots a beautiful girl, and asks Alexa to play him a romantic song. "I felt the lyrics in my heart and I just gave the shot. I was told not to act, so I was just being me in the video," he says. 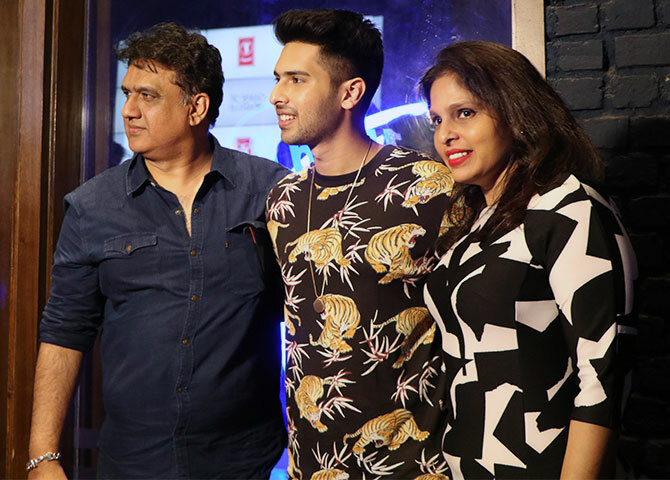 Armaan says he had never heard the classic song until six months ago when T-Series CEO Bhushan Kumar introduced him to it. "I didn't want to see the (original) song too much as I did not want to get stuck to that. We needed to create a new path, a new story for this. 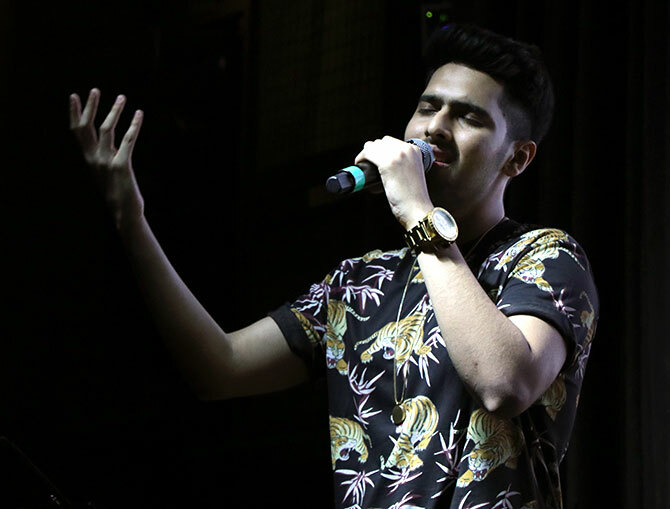 I sang it like a complete new song," says Armaan. "It's more like a rebirth of Ghar Se Nikalte Hi, rather than a recreation." "This is an iconic song and it was in our (the T-Series) catalogue," says Bhushan Kumar. "I have wanted to make a single of this song for a long time, and I thought Armaan would be perfect for it." 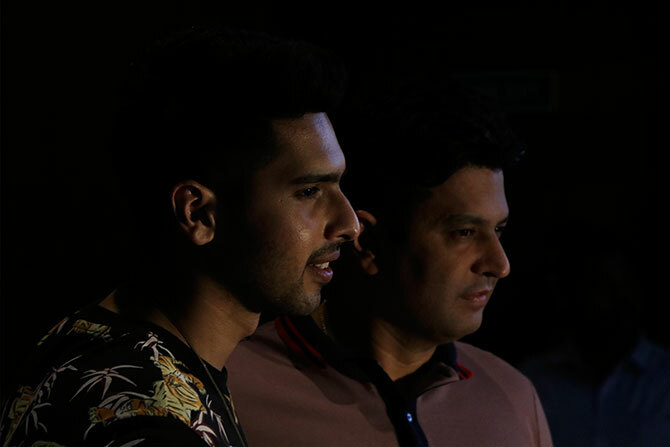 "Initially, Armaan was reluctant to do it," says Bhushan Kumar, "but I told him to just follow me, and it would be a great song." "And I don't think I was wrong," he says with a smile. Javed Akhtar is livid about Armaan's song. Originally written by Akhtar, and composed by Rajesh Roshan, the song was sung by Udit Narayan and featured in the 1996 film, Papa Kehte Hain. The new version has no mention of the original creators of the song. Instead, the credits appear as: 'Music Composed & Reprised by Amaal Malik'. The lyrics have been changed and are credited to Kunaal Vermaa. "This has to stop," Javedsaab tells Subhash K Jha. "I have taken legal recourse. I have sent legal notices to the people responsible for doing this to Ghar Se Nikalte Hi." "Today, they change the lyrics of one of my songs. What is to stop them from changing the lyrics of Ae Mere Watan Ke Logon, the patriotic classic that had the nation weeping?" "It may make us weep in another way altogether if they decide that poet Pradeep's immortal lines need updating and revalidation," says Javedsaab. "The new version of Ghar Se Nikalte Hi makes no mention of my lyrics, Rajesh Roshan's composition and Udit Narayan's singing. This is sheer vandalism," says Javedsaab. "I heard the new version of Ghar Se Nikalte Hi a few days ago and I was speechless," says composer Rajesh Roshan. "​I saw​ no mention of Javedsaab, Udit Narayan or me. How can they do this?" he asks. Rajesh Roshan says he was hesitant to take action until his brother film-maker Rakesh Roshan advised him to do so. "T-Series is a powerful company. It seemed difficult to challenge them," says Rajesh Roshan, "but I spoke to my brother. He said we must take action. There is no end to this kind of creative vandalism. Film music has hit rock bottom." "A composer like me finds it impossible to work with today's producers. They want to tell you exactly how to compose, which notes to play, which rhythms o put in which part of the song," says Roshan. "I can't be bullied by producers. I am used to working in an environment of complete freedom. Now, there is only the freedom to steal other people's ideas and creativity." QUIZ: Which films are known for these props?